Driving to and from work every day is just another part of our work day. Many of us at Ideal put a lot of miles on each day. 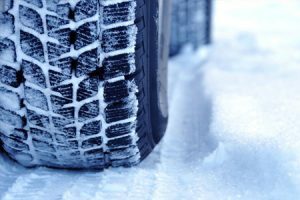 Every season has it’s driving challenges, but winter can be the most treacherous and dangerous time of the year for motorists. Unpredictable road conditions, changing visibility, poor weather and other motorists can make winter driving dangerous or even deadly. Being prepared can go a long way toward limiting the hazards of winter driving. Always be prepared, winter will soon be here. Last year on November 21st, there was 15” of snow in 1 day in Milford, Michigan.